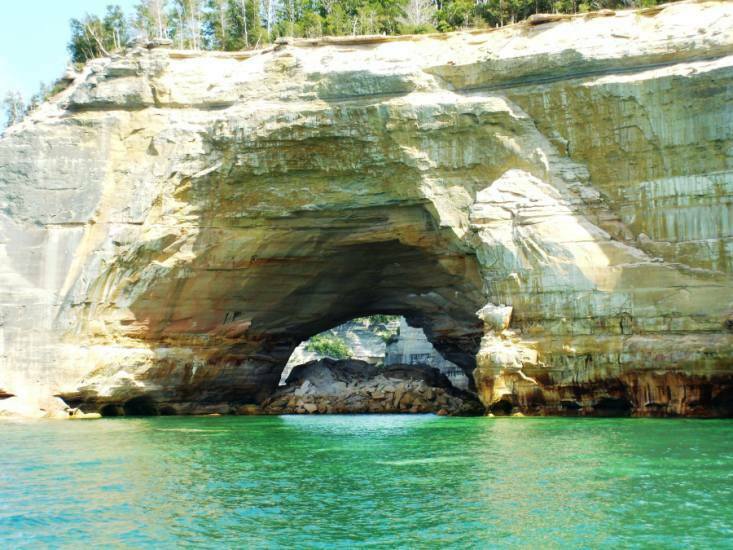 The Pictured Rocks stretch for about 15 miles along Lake Superior from Sand Point on the west to just after Spray Falls on the east. 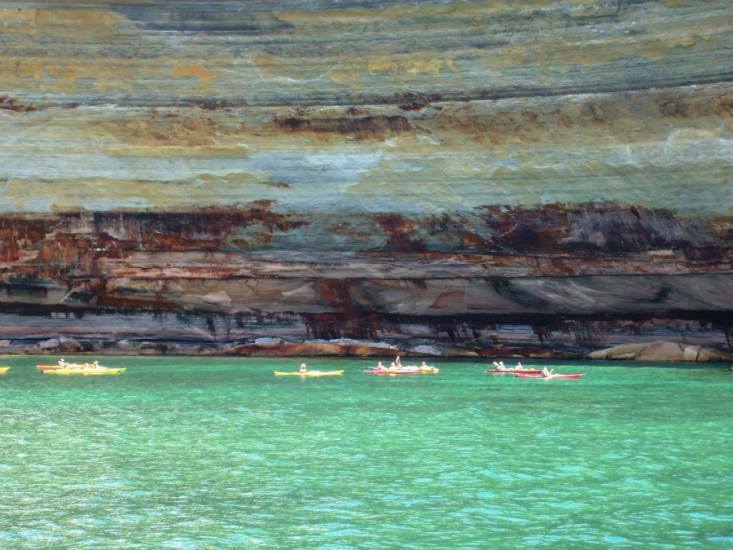 Colorful and bold, the Pictured Rocks tower 50 to 200 feet directly from Lake Superior. 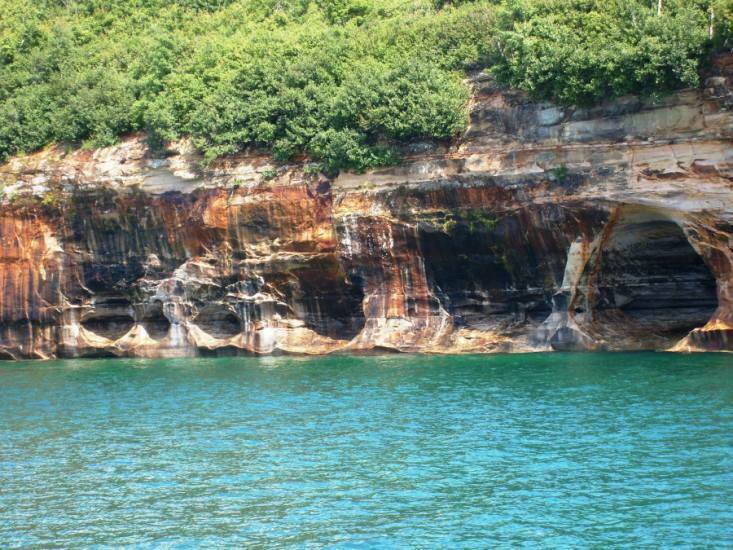 The name "Pictured Rocks" comes from the streaks of mineral stain that decorate the face of the weather-sculpted cliffs. 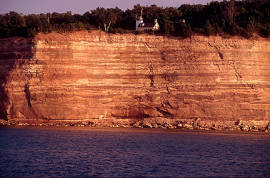 Sandstone cliffs of ochre, tan, and brown - sandwiched with layers of white, green, orange, and black - glisten against the cloud-streaked sky and clear waters of Lake Superior.